The Line Break Winder is a new piece of Streetwear for 2014. With a color scheme from '95 with a look from the future, you can claim it when you're looking this good. Color is neon and this comes in a Standard Fit. 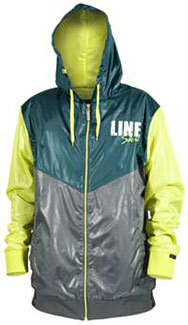 Line Streetwear is clinically proven to be awesome.